NMEA 2000, how do I love thee, let me count the ways, for now. The OSI (Ohio Scientific Inc.) 300 computer you see below, is a very early microprocessor based computer, and it is the first computer I every owned. 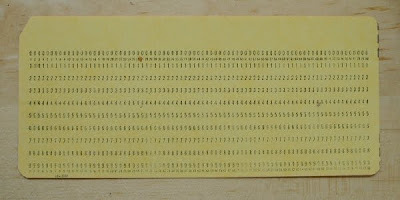 I bought it in 1975, or 1976, all shiny new, along with some of the most obscure technical documentation ever written. But with perseverance, I learned how to program it in machine language. This little computer sported a very brand new state of the art MOS 6502 8 bit microprocessor. 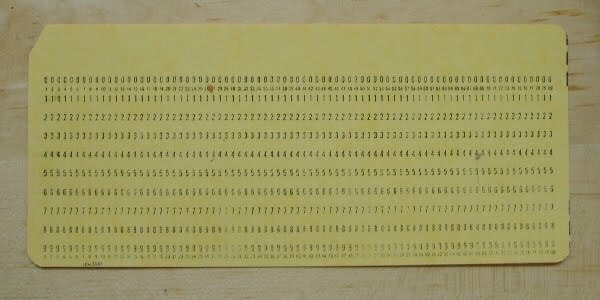 There was no C in front of the MOS, which meant when you shut it off, it forgot everything it knew, and you started all over again. At the time, it truly was a technological marvel, but how quickly it became a dinosaur, and it has lived in my closet for many decades now, as a poignant reminder of my technological past, and how quickly time passes all of us by. I was recently installing a NMEA 2000 backbone, attached to a Garmin 5212 system, and replacing almost all of the original NMEA 0183 wiring. I started thinking about my little antique computer above, and how quickly things change. When this Garmin system was installed, just a couple of years ago, it too was a technological marvel, and it included the brand new NMEA 2000 interface, but at the time, there was little NMEA 2000 gear available to plug into it, so during the original installation, all of the interfaces were NMEA 0183. In the beginning, when the NMEA 0183 system was cobbled together, life, was simple. Lard sold for a $1.00 a bucket, Ward and June Cleaver were still sleeping in separate beds, and there were few things available for your state of the art LORAN to talk to. Life became more complicated, and as new marine technology blossomed, the original software designs needed updating. New sentences were added, but the older equipment's software couldn't always digest it. Multiplexers were invented to support additional equipment, more new sentences were needed, and again older software had difficulties dealing with the new sentences. Boxes were devised to do translations for older equipment, and along the way, manufacturers started to ignore the standards, and added proprietary sentences, which enhanced the new features of their stuff, but often made headaches for other vendors stuff. To top all of this off, NMEA 0183 typically operated at the glacial speed of 4800 baud, which is now the computing equivalent of watching your fingernails grow. But worst of all was the wiring interface. A zillion little color coded wires that were difficult to strip, terminate, and connect to anything. The jargon attached to the wires was also all mixed up. Is it a RX+ or a VE+, NMEA ground, or ship's ground? So stare at the wiring diagrams, and lets see now, the orange/black TX+ of port 2, goes to the other system's blue/white receive port 4 VE+. You get the idea, everybody did something different. You want to see what's being sent, get a lap top with a serial port, wire up a DB 9 connector, crank up Hyper terminal in your Windows 98 computer, and read out the data. Awkward, dated, slow, inscrutable, out of control, and good riddance, unless of course you make your living selling multiplexers. The marine communications gurus formed committees, and cloistered themselves in rooms with white boards, and did a good job of updating the old NMEA 0183, and created the vastly improved NMEA 2000. This was long over due, and a quantum leap forward. Gone were the little tiny colorful wires, and small plug and play connectors took their place. Now my label maker can really be put to use. It was difficult to label wires that seemed to be the size of a human hair. Since you can split up the NMEA 2000 backbone, multiple devices can be consolidated in one location, and you only need to pull one cable to another location. Two new Garmin N2K GPS units are being installed here, and only one wire needs to be pulled to the console. It could have been ten devices, and still one wire pull. Gone are the many wire runs between upper and lower consoles just to support inter-unit communications. How are you going to keep then down on the farm when you can see a list of what's connected to the system? This is an enormous trouble shooting tool that allows you to quickly tell if devices are connected, and this will also generally tell you whether they have power, or not. This is a good start, but as I have learned, just because it is on the device list, it doesn't mean that the gear is working correctly. I was plugging devices in and out of the backbone, and using the device list to identify the cables for labeling, and it caused the Garmin 600 AIS to freeze up. A power reset corrected this, but what I would like to see is a N2K diagnostic page that would allow you to see if the units are sending data correctly. If the box can read it, it should be able to display it. While I'm showing a picture of a Garmin 5212 above, did I mention I want a QWERTY keyboard, or am I repeating myself, again? The old NMEA 0183 was restricted to 32 character strings, and a lot of the hardware that used it would choke on things it didn't understand. NMEA 2000 seems to have solved this problem. If a system sees things it is not going to use, it just ignores it, as long as the "PGN" sentence is correctly written, and speaking of sentences, there is now a huge array of them, and the list is growing everyday. The Garmin system above has 12 devices hanging on the system, and it works seamlessly. Doing this with the old NMEA 0183 would have been possible, but not without tribulations, mysterious black boxes, gnashing of teeth, miles of wire along the way, and less than perfect integration. So good job NMEA 2000, lets now see how long it will last. So lets flash ahead in our time machine, and we will let history repeat itself. Manufacturers will design propriety equipment, and software that won't work, and play well with others, in order to get some marketing edge, or increased margins, or both. Marine technology will continue to advance, more data will have to be moved even faster, GPS technology will change, and three or four decades from now, someone like me will stare wistfully at the antique Garmin 5212 in his closet, and fondly remember this relic that was his very first, "state of the art" chartplotter. The photo above is a Radio Direction Finder (now a relic) and was taken by K. Krallis, and was uploaded from Wikipedia Commons. Jeremy has been with me for many years now. He is the son of a very old friend of mine, and I have memories of Jeremy as a little pink infant in diapers. When a younger Jeremy first started working for me, he had the nickname of "Cabin Boy". The "Cabin Boy" soon morphed into my "Helper", and now he is a good friend, and very skilled professional colleague. But alas, the marine electronics business is not his first choice of a profession. Although very talented, he does get seasick at the drop of a hat, and does not like the bosun's chair at all. You can see in the picture below the only time that Jeremy "White Knuckles" Johnson was in the dreaded chair, and although he completed the task, he was not a happy camper about the event. I also can't understand why climbing into a 120 degree boat in the dead of a Florida summer, copiously sweating, while terminating tiny NMEA wires in a dark place only a contortionist would fit into, wouldn't be your job of choice, but in Jeremy's case it wasn't. For the last couple of years, Jeremy has been volunteering at Myakka River State Park, and taking all sorts of specialized courses in controlled burning, and the ilk. Last week Jeremy started his new career as a State of Florida Park Ranger. My loss, is Myakka River State Park's gain. He is a hard worker, very smart, has a tool bag full of specialized equipment. There is little difference between the RV power pedestal, and a marinas power pedestal. So Jeremy, both Kate and I wish you the best of luck, you will do well, and there is always a 120 degree boat around for you to work in, if you change your mind. Ranger Johnson's steely eyes survey the 38,000 acres of his new domain, and he issues his first command. "All critters shall now wear Tyvek booties to keep the woods from being tracked up by dirty paws." The owner of this boat called me and said his depth finder wasn't working correctly on a short "Shake Down" cruise from Sarasota, to Egmont Key and back. This was about a 70 mile trip up and back, and he said the Furuno depth finder acted weird on the whole trip. Since we were in about 10 feet of water, the Furuno RD30's depth of about 176 feet, did seem to be a wee bit on the high side. The Nobeltec sounder right next door does have the correct depth. Look at the picture closely, and above the depth number on the Nobeltec system, you can see the the wording "200 khz "Cruising." So playing the game of "What's different between these two pictures? ", we can now see the Furuno RD30 is reporting the correct depth, and the Nobeltec sounder is also. The difference is the Nobeltec sounder is now using the "50 khz Cruising" setting. So by now, a lot of boaters have figured what has happened, but for those who need some enlightenment, this is what is going on, in Americanized English. The piezoceramic devices in the two transducers are pinging out sound waves, and listening to the returning sound waves as they echo back from the bottom. They are designed to send out a certain frequency sound wave, and hear that frequency when the sound wave bounces back from the bottom. In this case, since both transducers are using the same frequency, they are hearing each other, and the Furuno unit is getting confused. I suspect, but I'm not dead sure, that the Nobeltec sounder module, has a more powerful transducer (I did not climb into the engine room to verify this, it is what it is), and the lower power Furuno transducer just gets overwhelmed. In other words, the Nobeltec transducer is not adversely affected by the Furuno's transducer, but the Nobeltec's transducer bugs the heck out of the Furuno's transducer, if they are operating at the same frequency. Both transducers are made by Airmar, and I hope I got this dialog generally correct Ms. Robb. The owner now knows, that if both sounder systems are operating at the same time, they must be set to different frequencies, if you don't want to be in 176.2 feet of water all of the time. There are transducer technologies, that can overcome this issue available, and the link below to Airmar will provide wealth of transducer information. Airmar's FAQ page will answer about 99.1% of your transducer questions. I am uncomfortable with the Garmin radar installation below because of the nearly eye level installation, and the about 6 foot proximity to someone sitting at the helm. If the unit had been mounted lower, I most likely wouldn't have looked at it twice. This photo took me off on some research to verify to myself that this radar installation was either safe, or unsafe. The first thing I looked at was what the manufacturers said about the dangers involved in being to close to the beam of a marine radar. Most of them say about the same thing. For example, Furuno's radar manuals say, "The radar antenna emits electromagnetic radio frequency (RF) energy which can be harmful, particularly to your eyes. Never look directly into the antenna aperture from a close distance while the radar is in operation, or expose yourself to the transmitting antenna at a close distance." It sounds a little ominous doesn't it? It could be really dangerous, or the legal departments of these companies are "showing an abundance of caution", or maybe it's a bit of both. 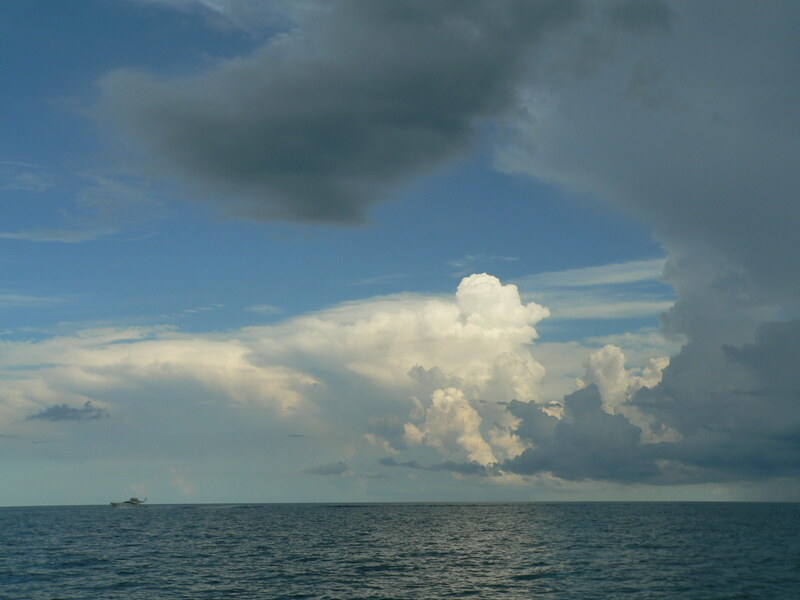 On the other hand, there is a fair amount of information that says the radiation levels of a rotating pleasure boat marine radar are actually very low, and hence the hazard level is also very low. I parsed my words a bit here, because high powered, non-pleasure boat radars can be dangerous, and the rotation of the array means the radiation exposure is limited to the time the array is facing you. So after several hours of reading on the subject, this is what I think. It would not be good for you to get as close as possible, at eye level, to an operating radar array, and stare at it for an extended period of time. I also think, that marine radars, that are installed according to the manufacturers installation instructions, will not adversely affect personnel on a boat. Everything in-between these two extremes is somewhat subjective. Will the installation above smite the owner's pacemaker, or blind him? Most likely not. Would I want to sit at the upper helm while the radar was running? Nope, not if I could avoid it. Murphy's Laws say that if a piece of toast falls off the table, it will land buttered side down. The odds of winning the Florida lottery are about 23,000,000 to 1. I wonder what the odds would be that a radar could malfunction, and have the array stop while pointing at the owner, and still be transmitting? This would be a long shot, is it possible? Ben Ellison's Panbo link below has an excellent discussion on this subject, by many more knowledgeable than I, and is a good place to start learning more about this subject. This should have been a simple job. A Raymarine E-120 wasn't getting a fix, and the investigation begins. Let's check the power, and antenna wiring. The wiring is by the book, and we have good power. The Seatalk cable is plugged in, so let's make sure that it is the master, and it is. I do a software upgrade, and follow it with two factory resets, and still, the GPS page is blank. So where is the GPS? This is the question of the hour. It's not on the top of the T-top, and it's not in the electronics box. I looked under the combings, nope, I chase the antenna cable, and find the antenna must be mounted on top of the electronics box. You can see the wire passing through the hole. I had to clear the wiring away just to see this much. So I reach my hand up to feel where it was, and I couldn't feel it or see it, because someone at the factory had covered the entire area with two part foam, I guess to seal the two small holes passing though the electronics box. The actual GPS was fully encapsulated in several inches of foam. This is one of the areas in a boat, where you can look, or you can get one hand in, but you can't do both at the same time. It took about an hour to excavate around the GPS enough to free it from the box. Two part foam is very tenacious and the GPS was well adhered to the electronics box, but with the judicious application of numerous explicatives, and some hard digging with my fingers, the GPS finally was removed. The point of the exercise was to see what the little LED on the Raystar 125 was telling me. It couldn't tell me anything, because the chemicals in the two part foam, had obscured the clear port you look through to see the LED status. I happened to have a new GPS in the truck, and when I plugged it in, the unit immediately started to blink happy green, and within a minute, we had a position fix. So what was wrong with the original unit, we will never know, maybe the foam out-gassed fumes that got into the unit, or maybe stuff just happens. Recapping the moral of the story, there had to be many other ways to seal the two small penetrations through this box, and I think the worst possible way to do it was to use two part foam. It made pulling new wires through the existing holes almost impossible, it was ugly, unprofessional, crudely done, and I'm going to revoke the boat rigging licence of who ever did this, if I ever catch him. I do have my sealing suggestion below, and don't confuse this with 3M 5200, or I will revoke your licence also. Late one afternoon, I was working on my blog, and abstractly listening to the whining and grinding of a wood chipper, and the constant revving of chain saws. A crew was clearing trees away from the power lines next door, and all of a sudden, my computer shuts down, the ceiling fan winds down, chain saws, and chipper noises cease, and a lot of exciting yelling occurred. It seems something went awry with a limb, and it caused an outage. About twenty minutes later, a large truck from the local power company showed up. Since big time electricity always has the potential of offering an eclectic experience, I grab my camera and head outside to check out the excitement. Alas, in this case it was a mundane outage, no flaying wires were starting fires everywhere they touched, and no frightened residents were fleeing the scene. It was only a short caused by a branch, that just required the mother of all fuses to be replaced by the power company. I started back into my house, and I looked up at the power truck, and mounted on top were two Golight spotlights. 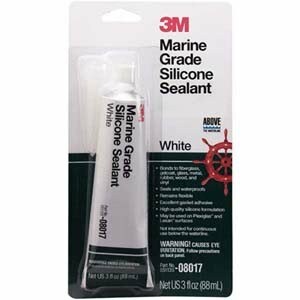 I love seeing marine hardware, being used in a location where salt water is not involved. With a smile he climbed into the truck, and got out the remote control. He pushed the "On" button, and both spotlights lit up on the truck. He used the remote to turn the spotlight toward me, and both spotlights moved. The Golight remote only has one frequency he explained to me, that's why they both move. On a dark night there could be four or five trucks with the spotlights mounted on them. Someone gets out a remote, and hits the "On" button, and all of the spotlights, on all of the trucks turn on. When you drive a spot light to follow a power line, it looks like your'e at a shopping center opening, with eight or ten of the lights all moving around at once. Despite some issues I have always had with Golight's remote controls, it is a great product, at a price that is substantially lower than its stainless steel competitors, and in my less than humble opinion, is better than most of them. Put several of these on your hardtop or arch, grab your remote, and you will be a hit in the boat Christmas parade. Mr Electricity prime suspect in conflagration. Mr. Aqueous sought as a person of interest. This is the city, Sarasota, Florida. I work here. "I carry a certification." The story you are about to read is true. Only the names have been changed to protect the innocent." Monday, July 5th 10:42 am: We were working a bunko, when I got the call about a suspicious arson death. I hurried over to the scene before the beat guys tromped all over the evidence. It wasn't a pretty scene. The body had been moved, leaving a charred spot, and the coroner was in route. I interviewed the boat owner, and he said he just turned around, and saw the fire, he also said Mr. Electricity was hanging around at the time. He pulled the plug, and the fire went out, but continued to smolder, and Mr. Electricity went on the lam. The stench from the fire was gut wrenching, and I worked at controlling my gag reflex. I've been around, but this was as bad as I have seen. Tuesday July 5th 12:01 pm: The coroner showed up to take the victim to the morgue for an autopsy, and shook his head. "This body is is in bad shape, I may have to work hard to find the cause of death." I spoke to a couple more witnesses, and one said, he had "seen Mr. Aqueous hanging around before the fire, and he looked suspicious". I said, "Just the facts sir". I made a note on my pad to grill him later about the incident. Wednesday July 5th 8:05 am: I went to visit the coroner, to see if he was able to determine COD. The body didn't look good. The burnt skin had been cut off, and what was left, wasn't for the faint hearted. The coroner said "Mr. Electricity had definitely been involved here, but I think he must have had some help." Wednesday July 5th 6:53 pm: I found Mr Aqueous at a local hangout, and took his statement. "Yeah, I was around, it ain't against the law, it's a free country you know. Mr. Electricity is who you need to talk to. I was just minding my own business, when he started to get angry, and all sparky like. He was getting out of hand, and I left, and hey, I don't have to talk to you copper, get a warrant." Wednesday July 5th 11:21 pm: You throw a party and that certification gets in the way. All of a sudden there isn't a straight man in the crowd. Everybody's a comedian. "Don't spark too much," somebody says, "or the man with a certification 'll run you in." Or "How's it going, Circuit Tracer? How many fuses did you pinch today?" Mr. Electricity was having way too much fun, and I arrested him, and booked him under section 301 C, felonious sparking. In the car, I asked him if he had anything to say, and sneering he said, "OK, so I helped with the sparking, it's what I do! Now throw me in the bucket!" I sent Officer Johnson over to pick up Mr. Aqueous, and booked him under section 567 D, aiding and abetting a sparking. There are over a dozen men in this city who know that being a marine installer is an endless, glamorless, thankless job that's gotta be done. I know it, too. And I'm damned glad to be one of them. The coroner's summary goes something like this. The shore power cable was a fifty amp cable that went from the pedestal to a thirty amp splitter that was plugged into the inlets on the boat. The connections, although reasonably watertight, were not designed for immersion. 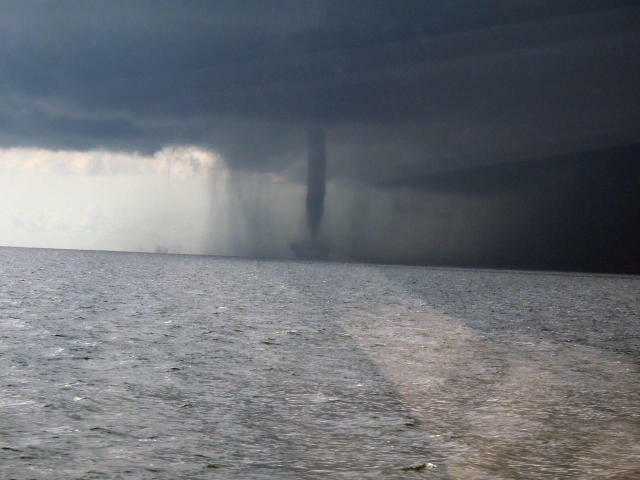 It turns out that the boat had a slight list to starboard, and after a rain, the connectors were laying in about a half inch of water. We had about a solid week of rain, and although the fire started on first dry day after the small monsoon we had, the damage was already done, but not yet apparent. I think the cable had been shorting for a while, via the rain water, and was already damaged. The owner just happened to be there, when the final meltdown started, the connector caught fire, and he was able to quickly remove the power. The ground wire was disconnected from the plug pin, and was spot welded somewhat to the black L1 wire. The copper was good in the cable, and all of the heat was being generated, at the shorted location. The odd thing here was that neither the vessel's, or pedestal's breakers were popped. As you can see in the first picture, had someone not been there, a real vessel fire was very probable. You don't often see things, when they are hidden in plain sight. The pictures below are examples of less than perfect shore power connections. I did a story a while ago, about a little box Stephen Rhodes, and Captain Abner Pires thought, up and implemented. This clever idea lifts the shore power connectors off the ground, and covers them to keep the connections dry. I thought it was a good idea then, and even more so now. You can find the story here. This is a no no! The cable is plugged into the standard household three prong outlet, and then into a thirty amp inlet on the boat. This outlet is for buffers, not thirty amp power. An uncovered thirty amp cord from a splitter. Note the wet ground around it, a hose has been leaking. What you can't see well in the picture, is the fact that the boat is being washed, and water is spraying on the shore power connector, which is directly under the hose bib. This connection has some issues, including the exposed ground connection, positioned so rain water can run into it. I don't know what the tape is all about, but it can't be there for the cosmetics. I wandered through three marinas, and found about three dozen connections, that ranged from, it could be better, and thus safer, to outright hazards, all hidden in plan sight. Mr. Electricity, and Mr. Aqueous, go where they want, unless you book them, and throw them into the bucket. Thanks Sgt Joe Friday for some of the lifted dialog. Sgt Joe Friday: By the way, what do you do for a living? Systems Analyst: I'm a systems analyst, myself. Sgt Joe Friday: Oh? What's a systems analyst do? Systems Analyst: I analyze systems. Sgt Joe Friday: Makes sense. Sgt Joe Friday: The subject was booked under Section 601 - in danger of leading an idle, dissolute, or immoral life. 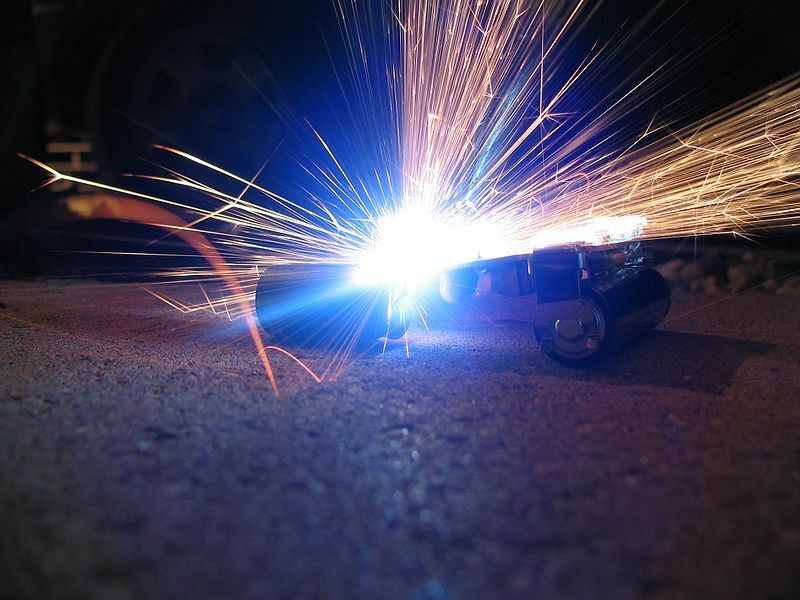 The picture of the "Sparks" is from Wikimedia commons, and was taken by Tim McCormack. These stunning pictures were taken a couple of weeks ago by Captain Abner Pires. Abner was on the vessel "Grateful" (44' Tiara) owned by Jim, and Sue Hanes, and nearby were Stephen, and Wendy Rhodes on "Phendi" (61' Viking). 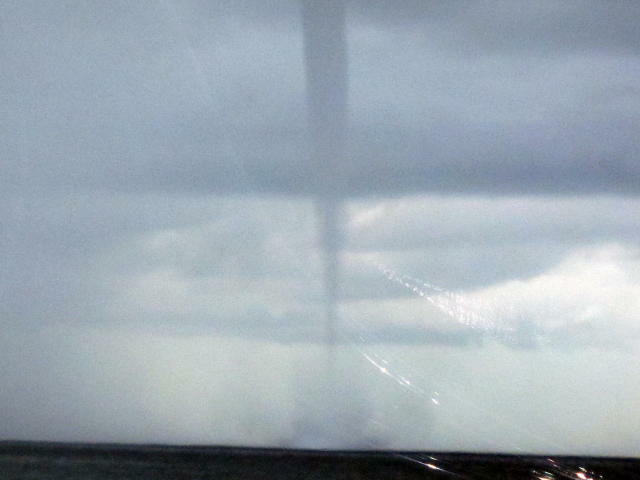 Both vessels had left Naples Florida together, and were in in route, through Florida Bay to Key West when these waterspouts were spotted in their path. 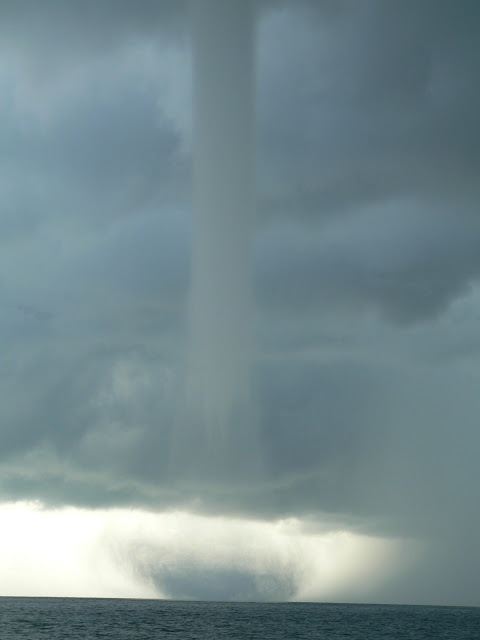 At one point in time, Abner said you could clearly see three waterspouts at once, and he thought there was a fourth one buried in the rain. 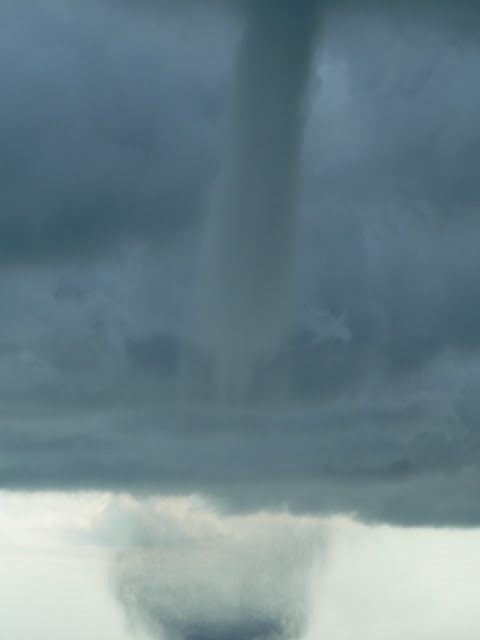 Abner also said it was hard to tell exactly how many different waterspouts they actually were seeing, because they kept reforming, but thought the total number was about six waterspouts. In the second picture you can see "Phendi" under the forming waterspout above. All of these pictures will blow up when clicked to full size. Abner Pires captains larger pleasure vessels, is Sarasota Florida based, and is an extraordinarily professional mariner. The pictures are his property, and he has graciously consented to let me use them. You can contact Abner at Abnerpires@comcast.net. 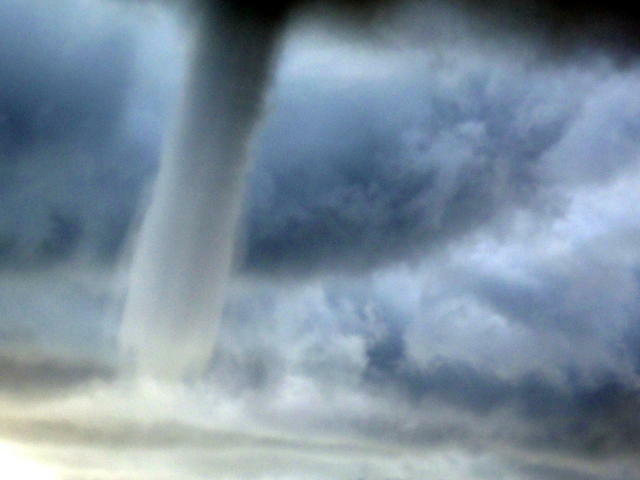 These wonderful pictures, of ordered chaos, speak for themselves, and I will leave a waterspout related link below them. 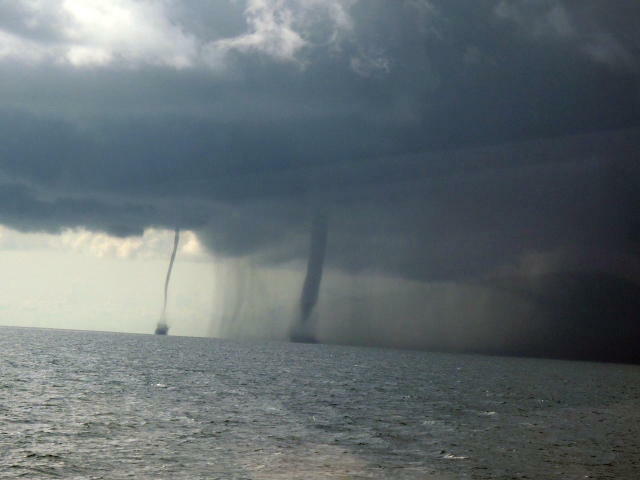 I don't think I have to remind anyone to keep your boat away from these forces of nature, do I? Lock picking tools. Mild mannered marine installer, or secret agent man? Serendipity is a wonderful thing, and a few weeks later on a Friday evening at my local watering hole (Gecko's in Sarasota), the subject came up again, and this time, all of Kate's friends, Duffy, Julie, Christine, and all of the other women at our large table simultaneously chorused a version of the verbiage I had already heard from Kate, and added some fresh new ones to boot. My friend Jeff leaves the table, and five minutes later he comes back with a lock pick starter kit, and presents it to me. Swearing up and down, that I will only use these tools, and my powers for good, and not evil, Kate relents, and says "okay", but she still eyes them with great suspicion to this day. Thanks Jeff, coolest little tools ever. These are remarkably useful little tools. I have used them twice for their intended purpose. I left an owner's boat key in my pocket, which subsequently was washed, dried, and the key ended up in the drier's squirrel cage blower, and that's all I'm going to say about the event, other than it will be there forever. While waiting for the replacement key to arrive, I used these tools to open the boat, and finish the job. I also used the key extractor (third tool from left to right) to remove a broken key from a boat lock, and it worked a treat, on an other boat, I couldn't get it out, I need more of these tools. Now on to the more eclectic uses for these little tools. The mangled pins you see above are at the bottom of a CF card reader slot, used on many chart plotters for chart data, and saving off user data. I have seen this scenario many times through the years. These pins are tiny, and even if you are careful, any misalignment of the chip while sliding it into its slot, can cause damage. On several occasions, this damage has been caused by an ARI (Alcohol Related Incident), where the owner has enthusiastically, and more aggressively than usual inserted the card. ARI's can, and do cause other problems for boaters, but now is not the time, or place. I encountered this bent pin problem last week (not an ARI event) on one, of two Northstar 6100I's. The owner had bought $900 worth of platinum chart chips for a trip. The problem was that the software version in the machines would not support the platinum chips, and the system needed upgrading. Northstar interconnected systems must be at the same software level, and this can only be done with a CF card. So send the unit in and get it fixed, or since it was already broken, and the trip was impending, I tried, and succeeded in straighting the bent pins. First a good magnifying glass and light was needed, and the little lock pick tool set. I mostly used the harpoon shaped key extractor, and the tumbler tensioner (far left). I could slide the the extractor into the card slot, and use the sharp point as a pivot, and then by rotating the barb, you could push the pin back into position. It wasn't easy, but after three hours, I got them straight enough to get the software upgrade chip into the machine, and it worked. To be honest, there was also some luck here, if any of the pins solder connections to the board were broken, I would have been SOL In this case, happy owner, happy software, and a warning to use that card slot, only in an emergency, and be very gentle. Replacing car style radios is a common event. They all come with with little key like devices that inset into the sides of the case, that release tabs that hold the radio in its mounting cage. Years later, they are not to be found. 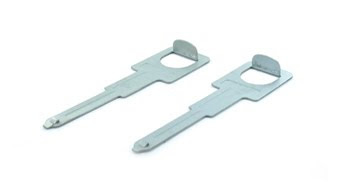 You can take the flat handles of these tools, and slide them down the sides of the case, and lift up the release tabs. Prior to this, I have used a flat blade screw driver, to wedge it out. When reason fails, force prevails. So in the end, these are very handy gadgets. They are made of spring steel, are very tough, and about 20 thousands of an inch thick. Cleaning in between solder joints, reaching into some crevice, and a myriad of other applications come to mind. I keep them in my bag all of the time. I mentioned to Kate I was thinking about buying a stethoscope to practice opening safes. It will not sell this time, at all, never, it's illegal, people will think you're a criminal, you're killing me..... But it might be handy at times. You never know. Ira Glass, you don't have to call me, I promise I will send a check to my local NPR station, and you should also, or Ira may call you. The photo is from Bent Card Pins.Com They are experts in repairing CF card slot bent pins in cameras, and certainty have all of the tools, technology, and expertise to do this well. I was lucky this time. This is best left to experts like them. These are two intertwined musings about melting electronics, and access to put out a fire. Below is a controller for a marine device, that was installed at the boat builder's plant. It was located inside the console, along with almost everything else on this boat that was electrical in nature. It was installed according to the manufacturers wiring diagram, and instructions, with the correct wire gauges being used, and as far as I could tell, the installation of this little black box was done to all current standards. I strongly suspect, that in a blackish grey sort of way, that it is no longer operational, since it seems to have caught on fire. As you can discern below, the wiring harness is fine, and shows no evidence of damage. The box appears to have had some sort of a internal melt down that caused the fire, with out tripping the fuse. It wouldn't be appearing here, if I hadn't seen another slightly different control box from the same company slag down in a like manner. In both cases, it is likely, if they were left unattended, a real fire could have well occurred. In the case of the box above, the owner, while underway noted black smoke coming out of the console, and knew where his fire extinguisher was. It was fully charged, and its contents were quickly emptied into the console's interior. The smoke stopped, and the boat returned to port. Things were done quickly enough, that, short of cleaning up the mess the fire extinguisher made inside the console, there was no other damage, short of the burnt offerings you see here. A similar (in function) box I installed, had the same thing happened also, but I was there at the time, and removed it, albeit not gracefully, but quickly from the boat. It didn't look quite bad as the one above, but in few more minutes it would have. I think twice is not the charm, and I am concerned about the amount of power that these boxes control, in such a small package. Maybe stuff happens, or maybe there should be some design improvements to make things more robust. I also found some additional comments online about this issue. Although the story ends well, and nobody had their eye shot out, it led me to musing about access to console interiors, and asking myself the question, "Have I seen boats where access to the console interiors is difficult?" The answer is yes, many times. A fire can occur in many places on a boat, but an electrical fire is statistically more likely to happen in a place where most of the wiring is, and on many boats, the consoles are one of those areas. In the case of this boat, there were several ways to get quick access, and a front access hatch was used. But I have been on many boats, where if a fire occurred in the console, it would take time and tools to get to a point where you could use a fire extinguisher to put out a fire, and maybe, by then it would be late. I was in my local West Marine store, and I told my friend Wayne Seel (Store 63 Manager) about this story I was assembling, and I asked him if I could look at the Beckson-esque deck plates to get some ideas for console access for a fire extinguisher. Wayne got all excited, and said "follow me", I have exactly what you need. Down the aisle we went, and "Lo and Behold" he produced this thing called a Fire Port, made by Marine East. What a nifty gadget this is. A quick hole saw cut, and you have instant access for a fire extinguisher anywhere. It's about 3" in diameter, and is reasonably resistant to water access, and inexpensive. The clear window allows you to see into the area, before you do anything abruptly, and it won't let a lot of oxygen into the area when you push the fire extinguisher nozzle through the port. What a great idea, thanks Wayne, you know your inventory, and you can teach this old dog something. So the next time you go on board your boat, think about this little story, and see if you could put out a fire inside the console, or other locations. Then find your fire extinguisher (I think it is under the console cover inside the head, or maybe I put it under the seat somewhere), and make sure its little needle points to the happy green color. Remember that Darwin always culls the weak and infirm from the herd.